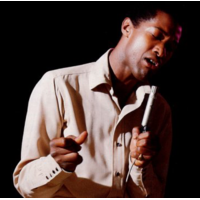 Samuel Cook (January 22, 1931 – December 11, 1964), known professionally as Sam Cooke, was an African-American gospel, R&B, soul, and pop singer, songwriter, and entrepreneur. He is considered to be one of the pioneers and founders of soul music. He is commonly known as the King of Soul for his unmatched vocal abilities and influence on the modern world of music. His contribution in pioneering Soul music led to the rise of Aretha Franklin, Bobby Womack, Curtis Mayfield, Stevie Wonder, Marvin Gaye, and popularizing the likes of Otis Redding and James Brown. On December 11, 1964, Cooke was shot dead by the manager of the Hacienda Motel in Los Angeles, California at the age of 33. At the time, the courts ruled that Cooke was drunk and distressed, and the manager killed Cooke in what was later ruled a justifiable homicide. Since that time, the circumstances of his death have been widely questioned.